Chances are that you already use apps as part of your day to day life. “App” is short for “application” and these are the small square icons that appear on the home screens of your smartphone and tablet devices. When you click them, they open particular programmes and software. 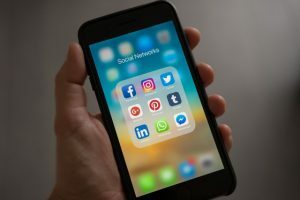 However, it’s important to bear in mind that these apps can be beneficial for your business, as well as being useful in your day to day life too! Here’s everything you need to know about apps and how they can benefit your small business. Plenty of small businesses develop their own apps that serve different purposes. Perhaps the most popular purpose for business apps is an online loyalty card. People with tangible cards often lose their cards. This can put you in a difficult position, as you either have to take their word and believe that they had the amount of points that they say they have, or have to request that they start a new card, which can irritate honest customers and drive them to other businesses in response. When you have a loyalty app, points are stored and even if the phone is lost or the app is deleted, they can redownload it and their points will still be restored. Apps also have the benefit of being visible on your customers’ homepage twenty four seven. This boosts your exposure and keeps your business in the back of these individuals’ minds at all times! If this sounds like something that benefit your small business, you can find out the cost to create an app here. You don’t have to solely rely on your own app to boost your business. There are plenty of preexisting apps that are already out there that you can use to your own advantage. Here are just a few different ones to consider. Instagram is generally associated with our personal lives. We tend to use this app to document our personal and social lives, sharing events with our family and friends. At the most, we open our profile to the public and share this information with them too. However, Instagram is becoming an increasingly popular business tool. There are two common ways to use Instagram. The first is to engage with social media influencers. These are individuals who have tens of thousands, hundreds of thousands, or even millions of followers. When they post, astounding numbers of people look at what they are doing. Many will try to replicate their lifestyles. So, if you can get some of these notable individuals to promote your products in your feed, you could experience a massive increase in your sales. Generally speaking, links to your page can drive more traffic to your product inventories, and your sales will boost. It’s essentially like having a well known and popular brand ambassador! You do generally have to pay these individuals to advertise your goods, but the sum is worth the rewards. A second way to use Instagram to your advantage is to make an Instagram page for your brand. You can then use this as a sort of catalogue. It can become a space where you advertise your collections and new lines. Pinterest is another app that people can download on their phones. They generally use it to browse different things that they are interested in. By creating a profile for your business on Pinterest, you can post stylised images of your stock. Users who have the app themselves can then pin these images to their wish lists and other boards. The more people who pin your images, the more your images will be noticed and shared. Just make sure to provide a link to the website where you sell the items in each image. This can help to direct people to your page to process purchases and generate profit for your brand. These are just a few different ways that apps can benefit you and your small business. Make sure to keep up to date with tech and incorporate tech into your business plan as soon as possible. Your business will genuinely profit from it!